A chain of model-to-model transformations prescribes a particular work process, while executing such a chain generates a concrete instance of this process. 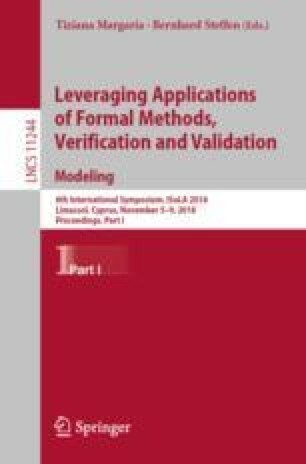 Modeling the entire development process itself on a meta-model level extends the possibilities of the model-based approach to guide the developer. Besides refining tools for model creation, this kind of meta-modeling also facilitates debugging, optimization, and prototyping of new compilations. A compiler is such a process system. In this paper, we share the experiences gathered while we worked on the model-based reference compiler of the kieler SCCharts project and ideas towards a unified view on similar prescribed processes.